Unlike many other states, Arkansas does not have the no-fault divorce ground of “irreconcilable differences.” Instead, Arkansas allows divorce based on a period of separation, 18 months under most circumstances, during which you and your spouse must live separately. The reason for the separation does not matter; if your spouse is incarcerated for at least 18 months, either of you can file for divorce based on this no-fault ground. Arkansas also has several fault grounds upon which you could base your divorce, such as conviction of a felony, cruelty, habitual drunkenness, impotence and adultery. If your spouse was convicted of a felony or other major crime, you can file for divorce on this ground as soon as he is convicted. Sometimes, fault-based grounds for divorce are difficult to prove, and the spouse who files for divorce has the burden to prove the ground exists. However, conviction of a felony is likely not difficult to prove since the conviction is usually a public record. Whether you choose to file for divorce under no-fault or fault grounds, the process is essentially the same. First, you must file your complaint with your circuit court, then serve that complaint and summons on your spouse. 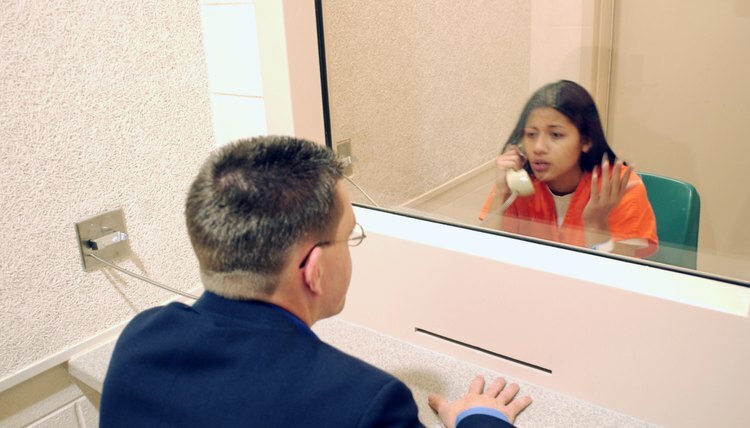 Typically, the county sheriff or a process server can serve your spouse with these papers, but you may need to coordinate service with the facility where your spouse is incarcerated. Once your spouse is served with the papers, your spouse has the option to answer your complaint by telling his side of the story. After the period for this answer has passed, the court may schedule a hearing to receive evidence in your case. After the court has heard all the evidence, it can issue your divorce decree. Arkansas does not give your spouse a right to an attorney in a divorce case, though an attorney could volunteer his time to represent your spouse. If your divorce involves child custody issues, Arkansas law gives your spouse the right to an appointed attorney for the custody portion of the case.